The Fiorentinos villa is a family business located in the quiet village of Tragaki just 170 meters from the sandy beach. It consists of a two bedroom villa and a guesthouse in the same premises, a swimming pool. Zakynthian hospitality, comfort and privacy are what our guests will receive in abundance. Families with children, groups of friends and even couples will enjoy their stay in this modern and spacious structure with amenities like outdoor BBQ, sun loungers, umbrellas and Wi-Fi internet access available throughout. 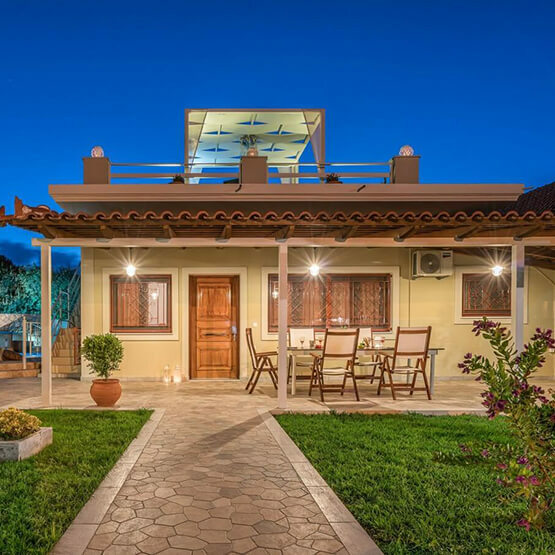 If you are looking for a private and fully equipped villa to spend your vacation on the beautiful island of Zakynthos, you have found the most suitable accommodation.